Round corner magnets have been" eye catchers" ever since they were first introduced. 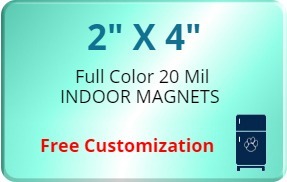 This 2x4 inch round corner magnets is a full color promotional product that will serve as an effective tool of brand promotion. 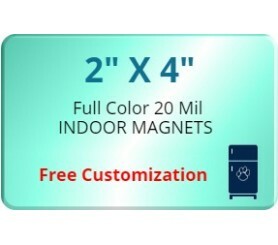 The thickness of this magnet is 20 mil which is capable of holding paper, pictures and similar objects.